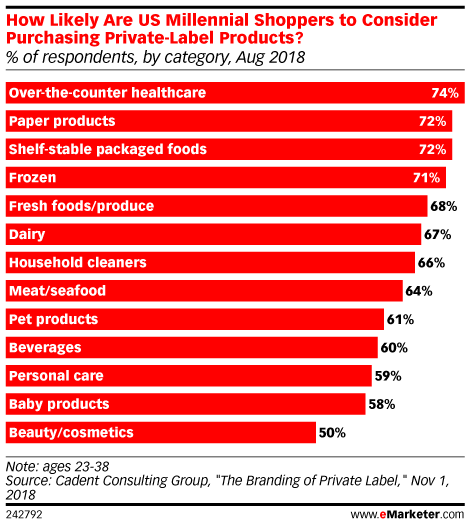 Data is from the November 2018 Cadent Consulting Group report titled "The Branding of Private Label." Nearly 500 manufacturers, retailers and shoppers worldwide (98-99% were based in the US) ages 18-64 were surveyed online during August 2018. Respondents were manufacturers (128), retailers (61) and shoppers (300).